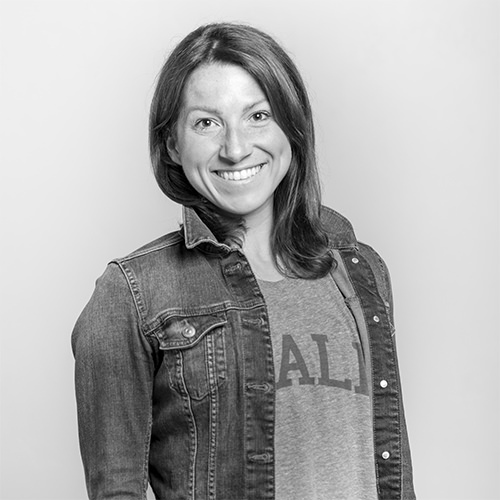 Courtney’s interest in yoga developed first as a complementary form of physical activity to long distance running and downhill skiing, seeking benefit in the focus on flexbility, strength, and mental discipline. She became immersed in the practice after fully realizing the power of yoga as a vehicle for increased energy, mental clarity, and physical challenge. Her style is an energetic, detoxifying flow of continuous movement, music, and breath. When Courtney is not on the yoga mat, you will most likely find her somewhere on a mountain with her yellow lab, her two little kids, and her camera.